The 8th edition of the event, back for the 2nd time in Japan, expects to draw conference attendees, exhibition visitors, and exhibitors from over 50 countries worldwide. This is anticipated to be the largest SIGGRAPH Asia event organized since 2008. Computer graphics has constantly been at the forefront of technology development, making significant impacts across the industry by changing the way we think, work, and live. SIGGRAPH Asia has been able to reinvent itself each year, much like its host city, Kobe. 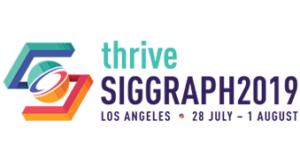 SIGGRAPH Asia will continue its tradition of being the premier platform for the advancement of graphics, animation, art, and technology. Apart from maintaining its strong standing amongst the academic research community, SIGGRAPH Asia 2015 will also strengthen its foothold within related industries. This year, its host city Kobe was strategically chosen to help further grow and foster strong connections to important communities in Asia. At the SIGGRAPH Asia 2015 Exhibition, exhibitors will showcase products and services from various sectors related to the computer graphics and interactive technology sector. See exciting new developments in technology and offerings from vendors of hardware, software and services. Production houses and studios will also recruit at the event. SIGGRAPH Asia 2015 will continue to excite the industry and bring new waves of energy to showcase only the newest and finest of computer graphics and interactive techniques. Come immerse in the kaleidoscopic world of computer graphics and interactive techniques where art, science, technology and research, and business meet. Program details will be available from May 2015 onwards.